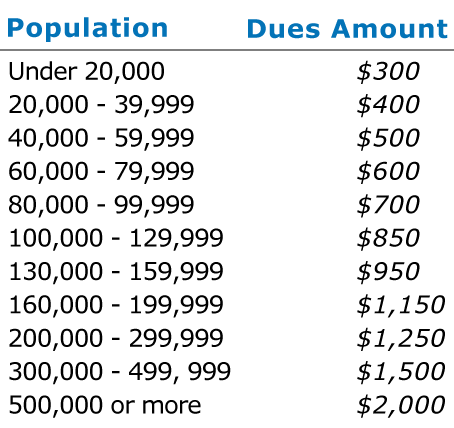 Dues are based on a jurisdiction's population. For County Governments, "population" is the unincorporated area population. For Authorities and Special Districts, "population" is the population within their service area.